Winner + The buzz for Knitter's Pride! A big thank-you to everyone who entered our blog contest this month! We've enjoyed reading the many wonderful comments on our blog post. Our lucky winner is Ravelry user aewsimmons, who said,"I would like to try the cubics needles. The design is very intriguing." We've contacted you on Ravelry so that you can claim your prize. Congratulations! Cubics are wonderful! They have beautifully tapered points. The circular needles' join and cable are perfection. The best part is how gentle they are on hands. - Carol H.
I already have the Dreamz but would love to try the Nova! I love my Dreamz: super pointy, light weight, warm and flexible - everything a knitted could ask for! - Bobbie W.
I'm a somewhat persnickety knitter, I like to use only the best b/c it's my time and my time can't be replaced, renewed, or recycled. Just got a circular size 7 Knitter's Pride needle, lovely wood, very smooth join (so laceweight yarn won't snag) and non-kink cable - now I'm stalking the interchangeables! 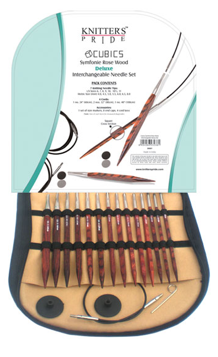 - Carole Ann G.
I have the circular Dreamz needles and love the way they feel in my hands. - Sarah B. Please keep sharing your comments and compliments with us via this blog, Ravelry, Facebook and Twitter. We look forward to hearing from you! 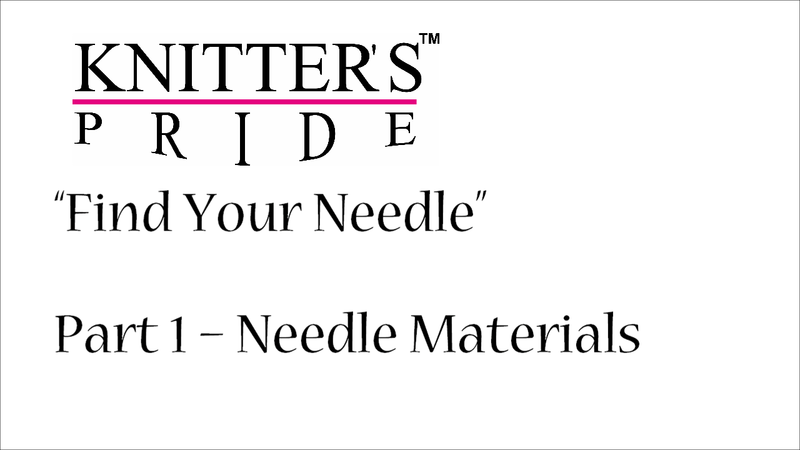 You may have noticed a new line of needles at your LYS - Knitter's Pride needles and crochet hooks are soon to be your favorite tools for the crafts you love! With the help of an international advisory panel of knitters and crocheters, we developed our range of needle styles and types to suit the needs of artisans just like you. This line of wooden needles is color-coded for each size, making it easier to find what you're looking for! Choose from DPNs, Fixed Circular, Interchangeable, and Single-Pointed. We also have Interchangeable Circular Needle sets, DPN sets, and Single-Pointed needles sets to ensure you always have what you need to cast on! You can also click here to read Clara Parkes' Dreamz review on Knitter's Review. These cuboid-shaped needles are easy on your hands and available in a wide range of options: DPNs, Fixed Circulars, Interchangeables, Single-Pointed, and Interchangeable Circular sets, too! They are truly needles with all the right angles - once you give them a try, you won't want to knit with anything else! These needles are lightweight, durable and soon to be your new favorite metal needles. Choose from DPNs, Fixed Circular, Interchangeable, and Single-Pointed. You can also build your needle library with our Interchangeable Circular Sets, DPN sets, and Single-Pointed sets! Everyone needs a few good Basix! Available in DPNs, Fixed Circulars and Single-Pointed needles, they're a great option for the beginning knitter. These lightweight birch needles are polished for superior glide - they work effortlessly with every type of yarn without slowing down your rhythm! We've developed both Single-Ended and Tunisian crochet hooks in a variety of materials. Choose from our color-coded Dreamz or the lightweight and ergonomically-designed Aluminum with a soft-feel handle. If you prefer single-ended crochet hooks, choose from our Dreamz and Aluminum lines as well as our durable Steel hooks which feature an ergonomic handle for maximum crafting comfort, or the polished wood Basix, which glide effortlessly with every type of material. 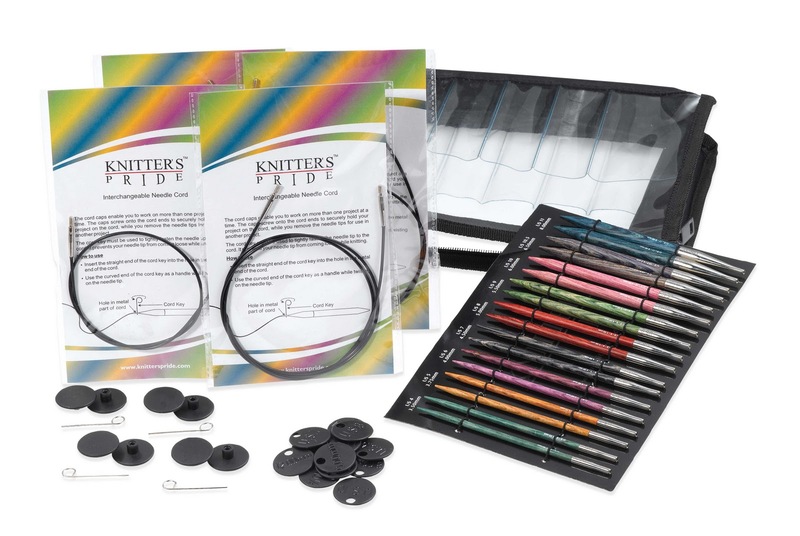 Try Knitter's Pride for Free! We know that once you give our needles a try, you'll fall in love - which is why we're giving you plenty of chances to win FREE Knitter's Pride needles and crochet hooks this month. Chance #1: Click here to sign up for our brand-new e-newsletter (you can also use the sign-up on the right sidebar), and you'll automatically be eligible to win a prize! We'll announce our first round of winners (yes, plural!) when we send out the inaugural issue. Chance #2: Follow us on Twitter, join our Ravelry group, or become a fan on Facebook - because you never know when or where we'll announce our next giveaway! Chance #3: Leave a comment on this blog post sharing which needles you're excited to try - or, if you've used some already, let us know what you think! We'll pick one lucky person to win a prize on Friday, February 24th. Good luck!